It's the story of Harvey Milk, and his recognizing the need for a symbol. 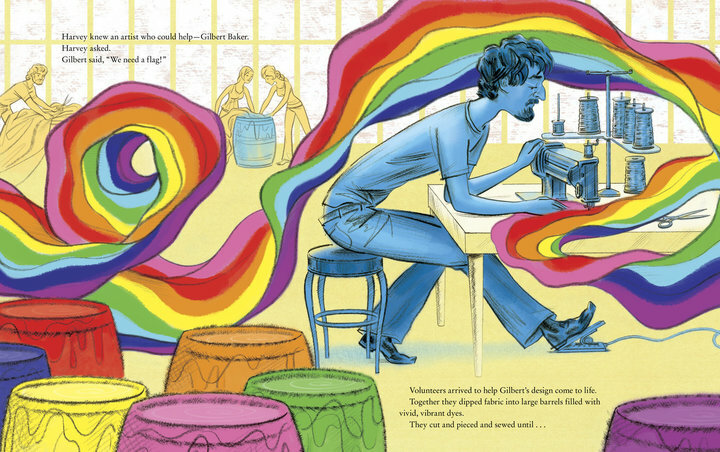 It's the story of Gilbert Baker, who came up with the Rainbow Flag idea and put it together. How the symbol of the flag took off, and became a symbol of hope and pride for millions of LGBTQ people around the world. 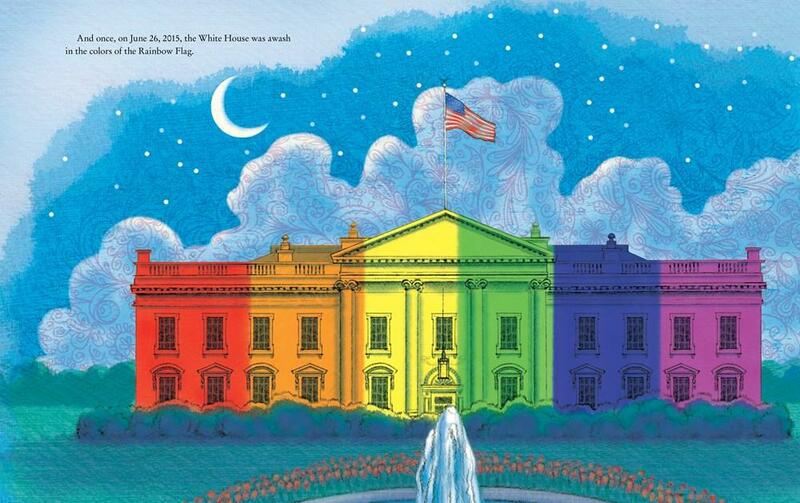 It even has that amazing moment, when the Obama White House was lit up as a rainbow to celebrate the historic Supreme Court decision that made Gay marriage legal across our country. An interior spread from the book: that amazing moment of Pride! This is history told in an accessible, kid-friendly way that gets to the heart of what Harvey, and the flag, stood and still stand for: Hope. Love. Equality. And Pride. The illustrations are vivid, and lovely. And there are timelines of both Harvey's life and the Rainbow Flag in the backmatter. 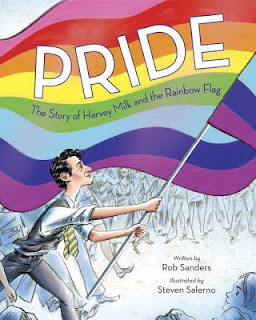 The publisher states that this is "The very first picture book about the remarkable and inspiring story of the Gay Pride Flag" — and it's high time for one! I'm so delighted to see this book get great reviews and accolades, including being a Junior Library Guild Selection. It is absolutely a picture book I wish had been read to me when I was a little kid! Add your review of "Pride: The Story of Harvey Milk and the Rainbow Flag" in comments!